I could swear that it was only last week that my family and I celebrated the New Year, welcoming in 2017. How is it possible that we are talking gift guides, cold weather, and the biggest holiday season of all? In my last year’s gift guide, you can read my recommendations here (they’re still all great gifts), my suggestions were all over the place from fleece-lined tights to my favorite LED flashlight! This year, my list is a little more organized, and I think there’s something here for just about everybody. These are products I have personally used and fell in love with during the year, along with a few recommended by my writing team. If you’re scrambling for ideas or maybe even looking for a little something to give yourself, this guide is your go-to for just about everyone on your list. There are mini survival kits and then there’s the TACT Mini Survival Kit, and I will say, there is NO comparison! You can read about my experience in trying to find just the right mini survival kit here. 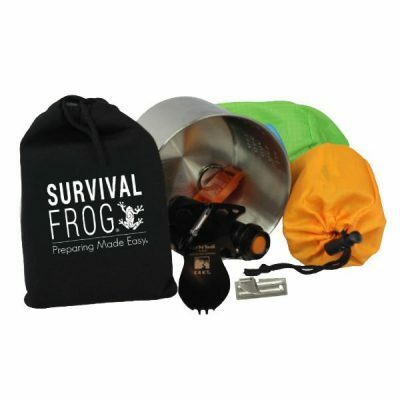 When I happened upon the TACT kit from Survival Frog, I fell in love with it. It’s just superior to any of the ready-made kits I’ve checked out. This kit contains the basics and a few nice surprises: a whistle, spork survival tool (much more than just a spoon/fork combination), a mini pocket stove with fuel tablets, a stainless steel camping cup that holds 16 ounces, and a bivvy sleep sack that is windproof and waterproof. Check out the TACT kit on this page. It beats every other ready-made mini kit that I’ve seen. I adore this product. When we went to Iceland last year and camped around the country in a camper van, we had our Aiho diffuser going the entire time. When I was in the hospital last month, I connected the diffuser to a USB charger and it kept my entire room filled with Christmas Spirit scent, sometimes Citrus Fresh, or Lavender. The nurses all loved coming in my room because it smelled so good. We’ve taken this on cruises, to hotel rooms, you name it, and I’ve given it as a gift to friends. If you love essential oils, then you need this diffuser. I can’t say enough good things about it. Oh, this one continually changes colors, so you get the benefits of a diffused essential oil and entertainment, all in one! This is my favorite all-around emergency radio, and I prefer it over my other Red Cross radio because this one has the capability of picking up shortwave bands. It is powered by batteries (not included), a hand crank, a small solar panel, or a wall plug-in adapter. For the price, this is hard to beat and a good choice for any home or emergency kit. It may sound strange to recommend as a gift forks, knives, and spoons, but if you’ve ever used Knork flatware, you know it’s not ordinary flatware. We have used Knork for several years and sometimes my daughter will take one of the forks with her to restaurants because the design of the fork allows it to be used as a knife as well. I love the very solid, qualify feel of Knork, and have started purchasing sets for my daughter’s hope chest! (Yes, it’s an old fashioned concept, but we both love seeing it fill up with cool household things for her future dorm room, apartment, or her first home.) Knork comes in different colors and finishes, including copper and black. Leave it to some genius somewhere to invent something that is lightyears ahead of a product many of us have used for years, the handwarmer. 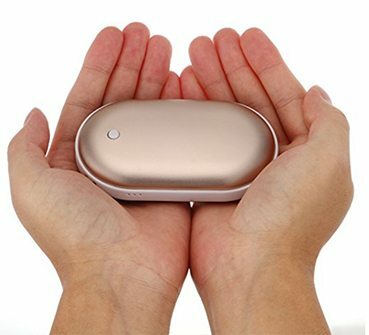 This handwarmer has an interior battery that you charge using a charging cord, and then emits heat for up to 10 hours, depending on the setting you choose. It’s the perfect size for a pocket and small enough to tuck just about anywhere. I hate it when my hands get cold and then take forever to warm up, so this has been the ideal solution for me. Unfortunately, as soon as my teenage son used this for the first time, it is now “his”. 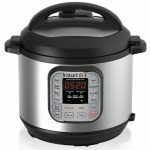 I have never been in love with an appliance as I have with the instant pot. Valuable counter top real estate was gladly given to the instant pot. Most of our family meals are now being cooked with it. The meat is tender, soups are scrumptous and the vegetables are flavorful. It is my pressure cooker, slow cooker, saute pan and more. It comes in a variety of quart sizes and options. The smaller size is perfect for college students, small families or empty nesters. 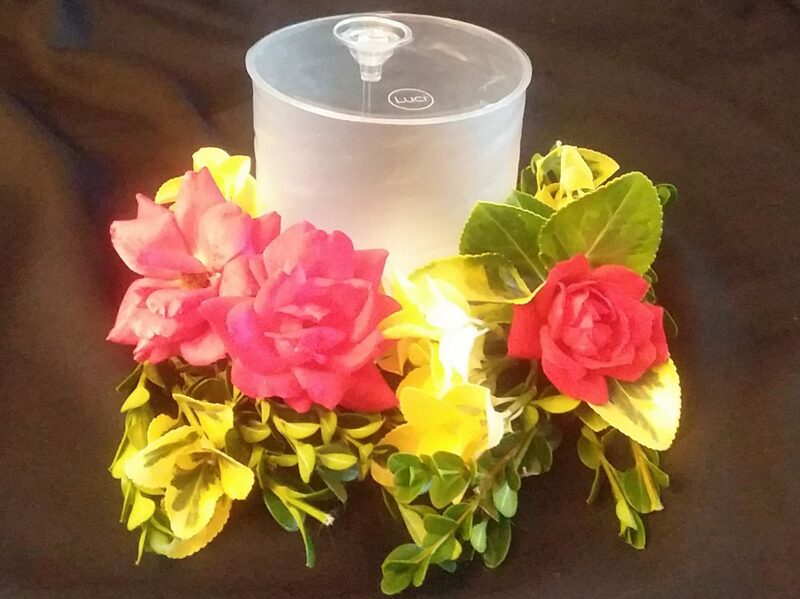 The instant pot is easy to use and has a safety feature built in the lid. One use and you will fall in love with it too. 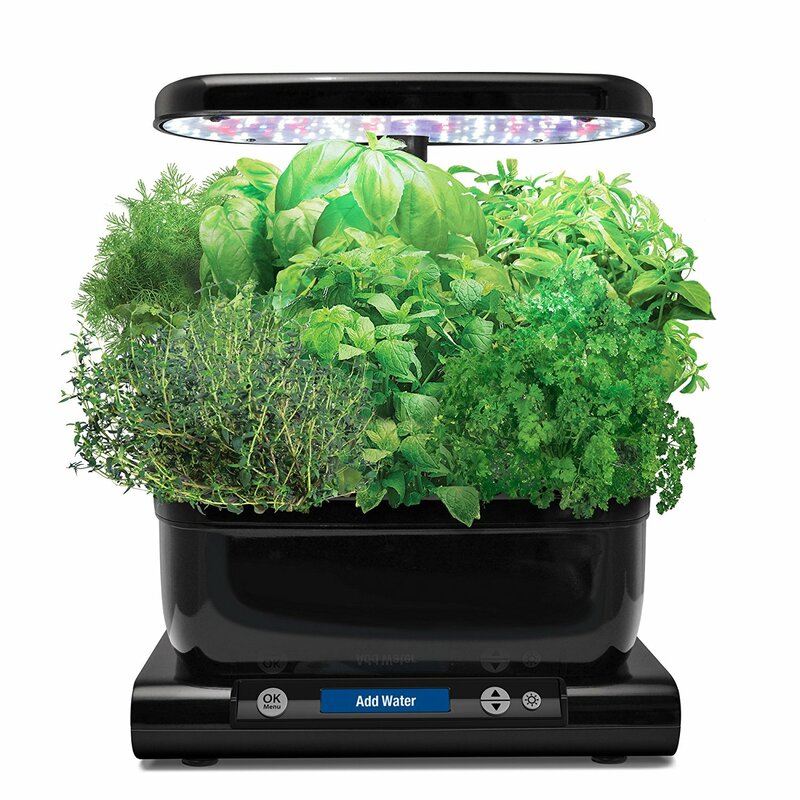 Fresh herbs in salads? Smoothies? Soups and pasta sauces? Yes, please! Every once in a while, I come across something so cool, so unique, that I just have to tell the world. The Tesla lighter is just such a product. It looks like an ordinary cigarette lighter but when you press the large button on the side, you get some sort of electrical surge, just a tiny one, and can use it to start a fire. It doesn’t use any type of fuel but, instead, is charged using a USB cord (included). There’s no actual flame, no smoke, just a very cool pink/purple charge that is unlike anything I’ve ever seen. This would be an excellent stocking stuffer but also is perfect for the person who has everything, has been everywhere, and is just pretty much hard to buy for. This information page allows you the opportunity to buy these in bulk and get free bonus gifts as well. Better yet, it comes with a 6 month, no questions asked guarantee. I put one of these in a vacuum sealed emergency pouch with a few other survival items, so my kids could have a compact survival kit in their backpacks. I personally own and have used every item on this list, so I can vouch for every one. Most items run about $20-25, with the Instant Pot and Aero-Garden on the higher end. For more gift ideas, check out this list of survival gear recommended by some of my survival expert friends and this list of recommended survival-minded gifts for kids. Finally, for the book lover in your life, this list of adventure books with survival themes contains some of the best books I’ve ever read. Blessings to you and your family as you enjoy the season. Great stuff and didn’t realize Instant pot had stainless steel insert! Figured at those prices it was aluminum so unit will free up space in our motorhome cupboards 🙂 (As fyi, above amazon link on instant pot goes to flatware so might want to update that.) Thanks for sharing! Got the instant pot based on your recommendation on Prime day. I got the 8 qt Version and it makes wonderful yogurt (with my home made soymilk). I got the vegan cookbook and promise that even if I never made anything other than cauliflower queso it would still be worth every penny. It is a space hog but I would rather have a productive counter than a pretty one. Will check out the instant pot and compare with my newer crock pot (which cooks faster than the older models). It is just two of us and I make lots of veg. soups, bean soups, etc. The flatware has a sleek style, will check Bed Bath and Beyond to see if they sell it. I make food baskets with preserves, chocolates and other food items for adults.